WARNING: This piece contains spoilers regarding BioShock, Fallout 3, Red Dead Redemption, and to a lesser extent, The Longest Journey. Read at your own risk! The Hero’s Journey, or monomyth as Joseph Campbell called it, is a fairly regular pattern found in narratives across the globe. Every culture, from antiquity onward, has a tale of a Hero’s Journey, and our first recorded work of fiction, Homer’s The Odyssey, is a monomyth. Whether it’s Odysseus, Buddha, Jesus, King Arthur, or more modern examples–Frodo in the Lord of the Rings, Luke Skywalker in Star Wars, Neo in the Matrix–the Hero’s Journey retains its hold on us. It’s a story we love reading/seeing/playing, again and again. 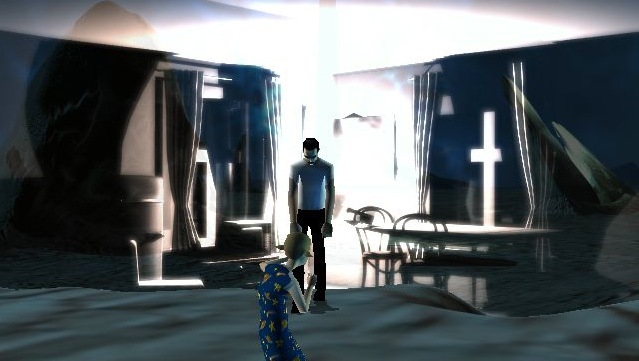 In college, I wrote an essay about how Buffy the Vampire Slayer adheres to the pattern of Joseph Campbell’s monomyth, and, since it’s Heroes Week here at Twinfinite, I thought it was the perfect opportunity to examine video games through this lens. What follows is a step-by-step exploration of the Hero’s Journey, and a selection of games that I believe achieve the status of monomyth. All monomyths, both classical and modern, follow the basic structure of Departure–Initiation–Return. That is to say, every Hero must depart on his or her quest, become initiated into the role of a Hero, and return, with knowledge and experience to share. There are differing viewpoints on how many steps each stage has, but for the sake of this piece, I’m using Joseph Campbell’s 17-step rubric. Sometimes Heroes choose to embark on their journey, other times they are thrust into it against their will. Either way, the protagonist begins a quest–to rescue a loved one, to reclaim honor or fortune, to save the world–knowing that his or her life is going to be irrevocably changed. Oftentimes they are “spirited away” from the normal world they know to a world that is completely alien to them. Fable is a great example of a monomyth–hell, the protagonist is even referred to as “the Hero (of Oakvale).” Like most Heroes, he begins his journey in the normal world, the one he calls home. In this case, he is a boy growing up in the beatific English countryside. It’s not until his village is razed, his parents murdered, and his sister presumed dead that he receives his call to adventure. Similarly the protagonist of BioShock, Jack, is forced against his will to begin his journey when his plane crashes into the Atlantic Ocean. He swims to the nearest landmark, a lighthouse, and from there descends into Rapture. And in Fallout 3, the player character receives a call to adventure when his or her Dad mysteriously leaves the Vault, forcing them to flee for their lives, leaving behind the Vault and everything they once knew. For example, in Red Dead Redemption, reformed-outlaw John Marston has vowed never to kill again. He initially refuses the call to adventure. It’s only when the government promises his family’s freedom in exchange for Marston killing his former gang-mates that he reconsiders. Interestingly, this is almost the exact same formula used in another Rockstar game, GTA IV. In The Longest Journey, protagonist April Ryan refuses to accept her destiny for quite some time. The game begins with April having nightmares–which progress to full blown hallucinations, and finally cross-dimensional travels. April is a “shifter,” capable of traveling between the twin worlds of Stark and Arcadia. At first, she is in complete denial of the strange things happening around her, attributing them to exhaustion or stress. Born in Stark, the world of science, April would rather rationalize her strange experiences than admit Arcadia, the world of magic, is beginning to bleed through. When she finally sees Arcadia with her own eyes, a place inhabited by strange creatures, talking crows, and magic, she returns to Stark and outright refuses to ever go back. Eventually she accepts that it’s her destiny to restore the Balance of the two worlds. Just when the Heroes believe that their quest is insurmountable, something supernatural happens. Whether they receive guidance from a wise mentor, or are otherwise imbued with powers they never thought possible, Heroes are suddenly now capable of completing their quest. In Fable, following the destruction of his hometown, the Hero meets Weaver, a wise old man who spirits him away to the Heroes’ Guild where he can begin his training. 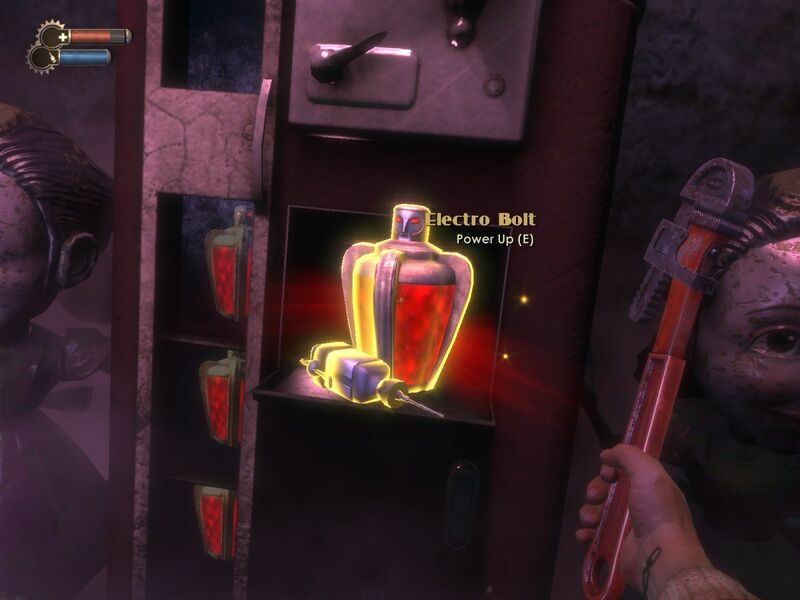 In BioShock, Jack finds and injects his first plasmid, giving him supernatural powers. In The Longest Journey, April finally accepts the aid of her mentor, a mysterious man named Cortez. Unbeknownst to April at the time, Cortez is in fact one of the four Draic Kin, ancient dragon-like beings who created the Balance long ago, and who seek to advise her in its restoration. This is the point of no return, when Heroes leave the world they knew behind them, and plunge headlong into an unfamiliar adventure. Usually there is a Threshold Guardian, which in the jargon of video games translates to the first boss fight. In Fallout 3, I’d say the crossing of the first threshold takes place when the protagonist faces the Overseer and escapes the Vault: once he or she leaves, there’s literally no turning back. 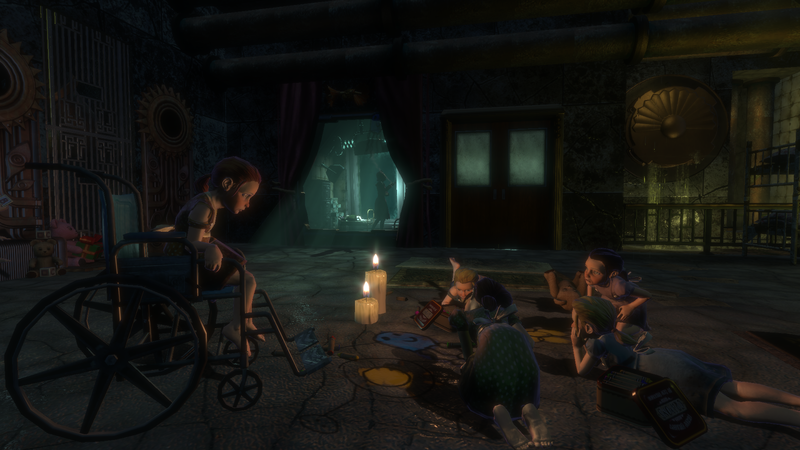 Jack in BioShock crosses the first threshold when he encounters his first Little Sister, and in turn decides her fate. She is in many ways the Threshold Guardian of Rapture. In the Longest Journey, April crosses a literal threshold, a trans-dimensional portal, when she goes to Arcadia for the first time. There’s no turning back now for the Hero. 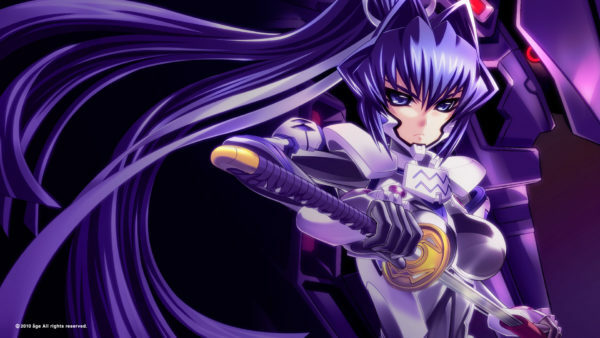 This is the protagonist’s final separation from his/her old self, and it usually involves a dire situation. They can’t return to the world they left behind them, and their only hope of going home is to complete their quest. As mentioned above, the protagonist in Fallout 3 cannot return to the Vault once he or she leaves: their only hope of finding their father is to explore the inhospitable Wasteland they now call home. In BioShock, Jack learns that having Adam, a raw form of stem cells harvested from sea slugs and used to purchase Plasmids and Gene Tonics, is vital to survival in Rapture, and he faces his first Big Daddy. In The Longest Journey, April finds herself stuck in Arcadia after shifting there for the first time, and she reluctantly begins her very long journey home. The Hero faces numerous tests and challenges, and gains both new allies and enemies. At this point the end goal is apparent, and the Hero must complete the necessary steps to achieve it. This is usually the longest section of most video games. I’d say that in Fallout 3, the multi-step quest of finding your father is akin to a road of trials: first, you must get to the headquarters of Galaxy News Radio, help Three Dog in exchange for information, discover Rivet City, speak to Dr. Li, and eventually make your way to the Tranquility Lane simulation in Vault 112. During this process, the player character faces many challenges and becomes more powerful along the way. 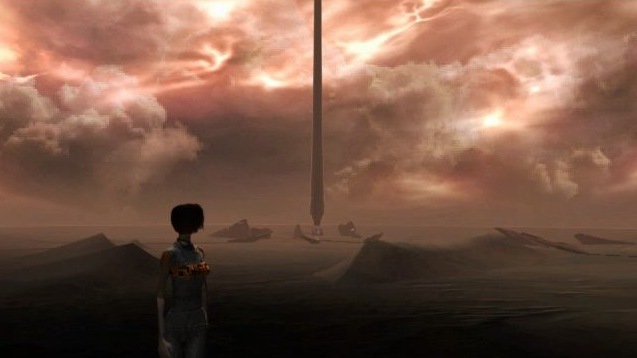 Similarly, The Longest Journey is called that for a reason: April must complete an almost-Herculean number of tasks before she can finally return home, and even then, the game’s barely just begun. She is tasked with finding a man from own her dimension who has chosen to live in Arcadia, whom the people call “the Rolling Man” because of the strange contraption he uses to get around (it’s a bicycle). She poses as a delivery girl for a maps merchant, and must follow complex directions to his house. He gives her a pocket watch which is, unfortunately, broken, and she must repair it if she ever hopes to return to Stark. 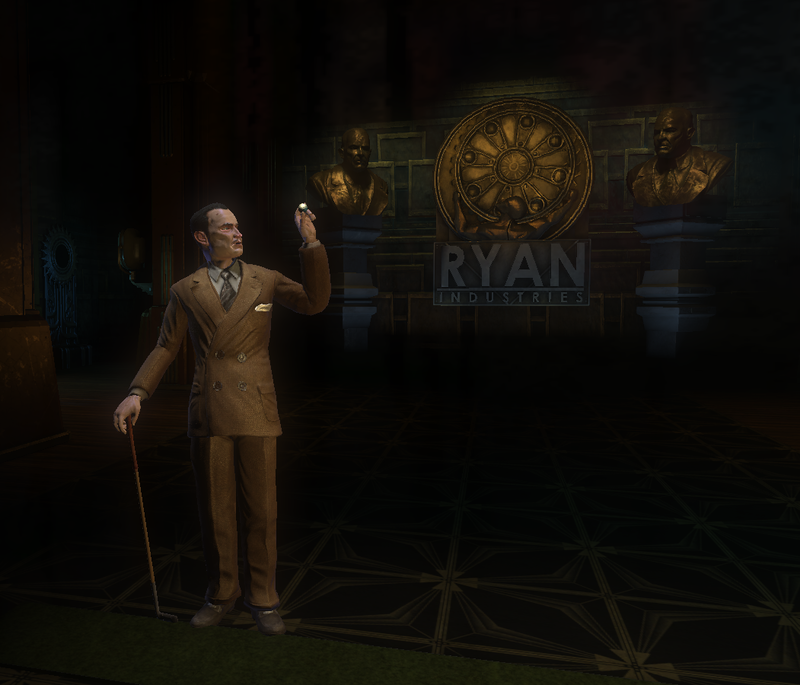 Finally, in BioShock, Jack begins his quest for revenge against Andrew Ryan. Led by Atlas, Jack makes his way through different parts of Rapture, defeating Big Daddies and dealing with Little Sisters along the way. Each location has a multi-step quest, saving the trees in Arcadia, taking the photographs for Sander Cohen, etc., and each location brings Jack closer to Andrew Ryan himself. The Hero falls in love–not necessarily with another person, or even a thing, this love is a metaphor for the Hero’s quest to attain mastery. Of course, it can be the love of someone else, another person, but it can also be the love of adventure, or knowledge, or self-awareness. This one was tricky to apply to video games, but here goes. In BioShock: Infinite, this occurs when Booker DeWitt rescues Elizabeth from her tower. Their escape from Columbia, and the things they discover about themselves along the way, forms the remainder of the game. In Fallout 3 this perhaps occurs when the protagonist rescues his or her father from Vault 112. He explains everything: why he left the Vault and why his mission–to purify drinking water in the Wasteland–is so important, both to him and the protagonist’s late mother. 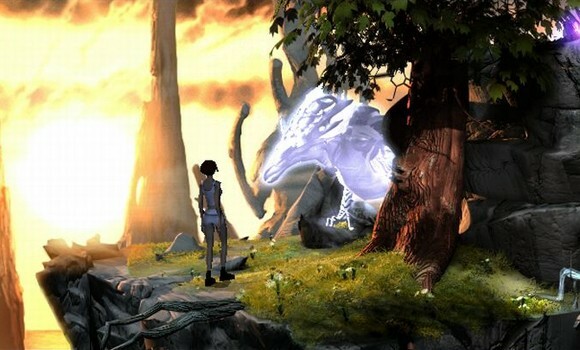 Similarly, in The Longest Journey, April finally meets the White Dragon, whom she’d seen in her dreams. The “mother” of the Draic Kin lovingly refers to April as “daughter,” and explains why it is absolutely necessary that April restore the Balance. It’s usually at this point that Heroes are tempted to quit–they’re exhausted, and they just want to go home. Something, or someone, tempts the Hero to abandon his or her quest. It takes every bit of willpower that the Hero has not to give up. This was also pretty hard to find in video games; games aren’t in the habit of trying to convince a player to quit playing. One example I could think of is in Fallout 3 when the player’s father dies. You can, like I did, become so upset that you abandon the main quest completely, instead choosing to occupy yourself with the dozens of side quests the game has to offer. 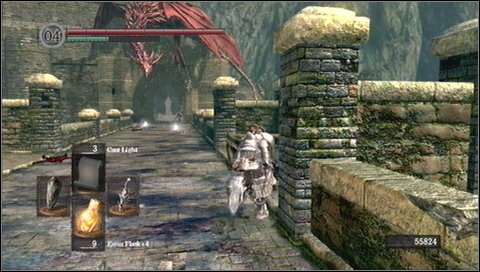 Dark Souls is one of the few games that actively tempts its players to give up at almost every turn. It’s an unforgiving game that penalizes careless mistakes. I don’t often rage quit, but when I do I’m playing Dark Souls. I know of countless people who, after beating the Taurus demon, were struck down by the red wyvern on the bridge and lost all their souls. I, for one, stopped playing for months. In this step, the Father is often metaphorical. He represents tradition, old ways, and everything that the Hero is rebelling against. Sometimes the Father is more literal, and the Hero must defeat him, or make peace with him, in order to progress. In Fallout 3, the protagonist’s father is murdered, and he or she must decide whether or not to continue his life’s work. I believe atonement comes when players forgive their father for abandoning them in the Vault, and choose to continue down his self-sacrificial quest for clean water. This step of the Hero’s Journey is particularly interesting in BioShock. When Jack finally reaches Andrew Ryan, whom he’s learned is his father, he realizes that he’s not the bad guy Atlas made him out to be. In this way, he makes peace with him, yet, due to his conditioning, he is still forced to defeat his father in order to progress, by beating him to death with a golf club. April, in order to fulfill her destiny in The Longest Journey, must make peace with her abusive father so that he no longer has a hold on her. After running away from home as a teenager, April swore to forget the physical abuse she endured at the hands of her alcoholic father. Yet, near the end of the game, in the Guardian’s Realm, April must overcome her darkest fear: she finds herself in a ghostly reconstruction of her childhood home, facing the specter of her abusive father. She’s 6-year-old April again, scared, helpless. But this time she has the courage, and strength, to stand up to him, and what’s more, actually forgive him. “Apotheosis” is the idea that an individual has attained a god-like status. It can also refer to Heroes having achieved their full power, or having gained a sense of inner peace. Heroes, oftentimes confronted with their own mortality, relinquish their ties to the living world, and are reborn, even more powerful than they were before, ready to complete their quest. In Fallout 3 (assuming we’re talking the vanilla, non-DLC version), the protagonist achieves apotheosis when he or she chooses to step into the radiation-filled water purifier, knowing it means death. 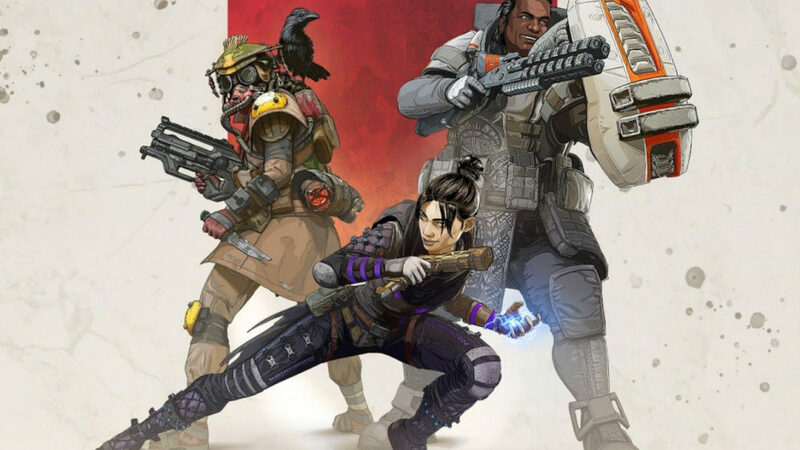 Like their father, they choose to sacrifice themselves for the greater good, dying so that the people of the Wasteland might live. And, even if Brotherhood of Steel is installed and the player character doesn’t actually die, this is still a moment of apotheosis, for they have achieved an almost god-like status as a savior of the people. Jack’s apotheosis in BioShock occurs when Brigid Tenenbaum removes the post-hypnotic conditioning that allowed Atlas/Fontaine to manipulate him. No longer Atlas/Fontaine’s puppet, Jack is finally in control of his own destiny. This makes him more powerful than ever. The Hero has successfully attained the goal of his or her quest. They’ve done what was asked of them, but now what? Can they, after all they’ve been through, return to the world they sacrificed everything to protect? The ultimate boon is different for every game. In Fallout 3, it’s getting the water purifier running, and thus completing your father’s life work. You’ve provided the Wasteland with clean water, but what now? Where do you go from here? John Marston’s ultimate boon in Red Dead Redemption is finally being reunited with his family. But their domestic bliss is short-lived, as Marston’s past continues to haunt him. In The Longest Journey, April successfully makes her way to the Tower of the Guardian, where the Keeper of the Balance maintains equilibrium between the two worlds. Believing herself to be the Keeper, she is sorely disappointed when it’s revealed that it is in fact her companion, Gordon Halloway. Now what? Having resigned herself to this fate, and doing everything in her power to get there, how can she just go back to a normal life? Is there, after all the death and destruction, even a home for her to go back to? Oftentimes Heroes are reluctant to return to their previous worlds. They’ve done so much–seen so much–that even the idea of going “home” seems impossible. So much has changed–they’ve changed. Even if the world they once knew still exists, it’s almost unthinkable for them to go back. Sometimes, as in BioShock, there’s no home for the protagonist to return to. Jack learns that his life outside Rapture was a lie, his memories a fabrication. He was born in Rapture, that is his home, and the best he can do is defeat Frank Fontaine. Other times, such as in Fallout 3, the protagonist can and does go home, if only temporarily. After receiving a distress signal from Vault 101, the player has the choice of aiding his or her former friend, Amata, who has become the Overseer. But it’s a strange and uncanny feeling being back there, and it becomes clear that the player cannot stay there permanently. It’s no longer your home. Similarly, at the end of The Longest Journey, April Ryan can go home to Venice, a city in Stark. But, after losing so many friends and loved ones over the course of her journey, it’s no wonder she’s reluctant to do so. Instead, she and her companion Crow, a snarky, talking crow, are assumed to continue adventuring in both Arcadia and Stark. Returning from the Hero’s Journey can be just as dangerous as embarking on it. And, moreover, the Hero is usually hesitant to go “home.” It takes a combination of willpower on the Hero’s part and a supernatural flight from the world they’ve been inhabiting to bring them back. Although extremely relevant in narratives like the Lord of the Rings (Great Eagles who rescue Frodo and Sam from the smoldering ruins of Mount Doom, I’m looking at you), I had difficulty thinking of a game in which this occurs. The games I did think of were based off an existing IP, like Star Wars. Usually the Hero is lost, or otherwise incapable of returning to the world he or she once knew. Oftentimes they require assistance from helpers on “the outside” who can help bring them home. For example, at the end of Kingdom Hearts 2, Kairi opens a door allowing Sora and Riku to escape. And just when it seems hopeless near the end of BioShock, the Little Sisters lead Jack to safety. When Heroes return to the “ordinary world,” they are often faced with a Threshold Guardian, a final test that determines whether or not they can truly “go back.” In video games, this often takes the form of the final boss fight. In BioShock, Jack crosses the return threshold when he encounters and defeats the final boss, a hideously mutated Frank Fontaine. In Red Dead Redemption, it’s when Jack Marston, the late protagonist’s son, avenges his father’s death by killing the man who murdered him. Often, although not always, this is the final boss, and the last two steps are conveyed through cutscenes. 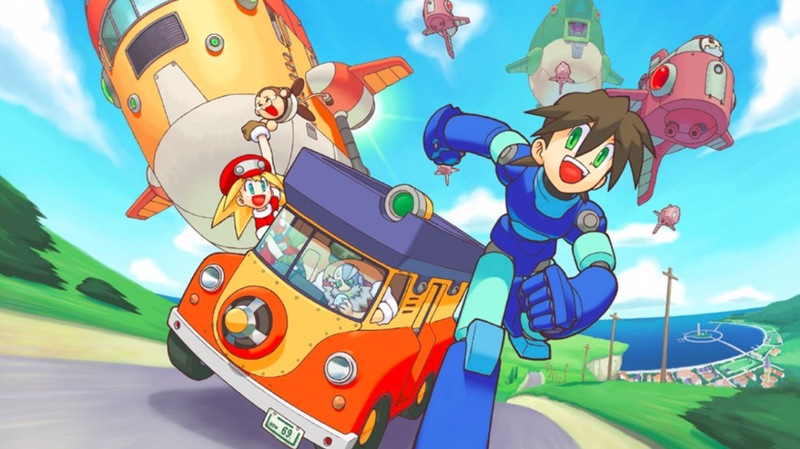 Once they’ve crossed the final threshold, Heroes are able to reconcile the incredible journey they’ve just completed with the normal world to which they wish to return. This is because they are able to inhabit both worlds simultaneously, to draw from the experiences that each world provides and become master of them both. There’s no better example than April Ryan from The Longest Journey, who literally and figuratively becomes a master of two worlds. She can effortlessly “shift” between Stark and Arcadia, and her unique power has given her life meaning. The Hero, having experienced death, or the fear of dying, and having overcome it, is free to live fully in the truest sense. Life gains new meaning in the face of mortality, and the Hero becomes an example for others, sharing his or her wisdom to the people. In BioShock, this ending depends on the choices you make in the game. If you rescue all of the little sisters, Jack is given the freedom to live a normal life outside of Rapture. He raises these girls as his own, watches them grow and mature, and when he dies of old age they are by his side. In The Longest Journey, April can freely move between worlds, and dictate her own future. Although not always the case, the freedom to live usually implies a somewhat happy ending. Not every game incorporates every step of the Hero’s’ Journey, and not every step is exactly as Joseph Campbell imagined or described it. 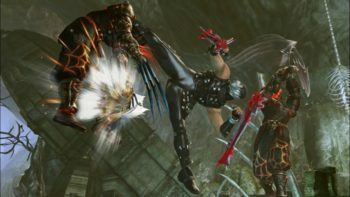 Yet the overarching pattern of Departure–Initiation–Return makes an appearance in many games, not to mention most fictional narratives. The monomyth is a powerful story archetype embedded in our culture’s collective unconscious. 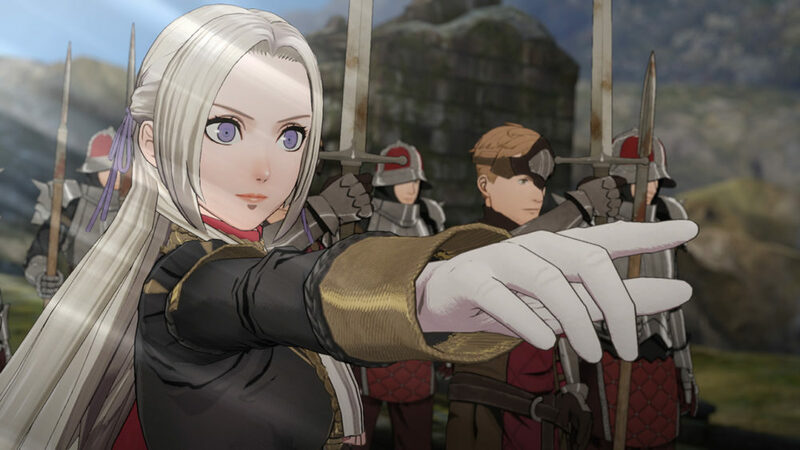 Its success can be attributed to the sort of protagonist it creates: a well-developed, purposeful, and, most importantly, dynamic character whom the audience actually identifies with and cares about. It’s a simple, three act-structure that nevertheless creates some of the best loved characters throughout history. Because, psychologically speaking, the voyage is more interesting than the destination. The Hero’s Journey is more compelling than his or her ultimate reward. 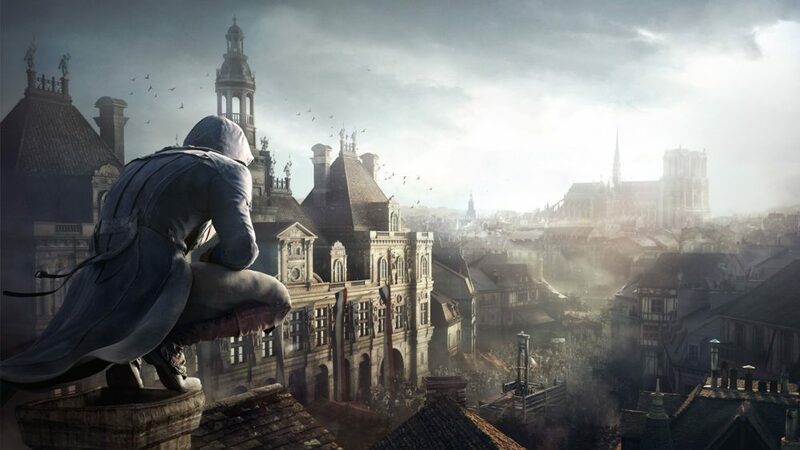 Its the stuff of epics: the great heroes of antiquity, the high fantasy and superhero genres of the 20th century, and the video games we’ll continue talking about for decades to come.